The tests start at 9pm. The placement in the “Grand Manege” is numbered. The selection of seats is done automatically by the software when purchasing tickets. Reduced price: children from 3 to 18 years old, job seekers and people with disabilities. You will be required to provide a justification at the entrance of the room. The discounted “3 evening pass” fare cannot be applied after the purchase of “1 evening” tickets separately. Tickets are not refunded unless the event is cancelled at the organiser’s initiative. The International Vaulting Competition is free and open during the day. 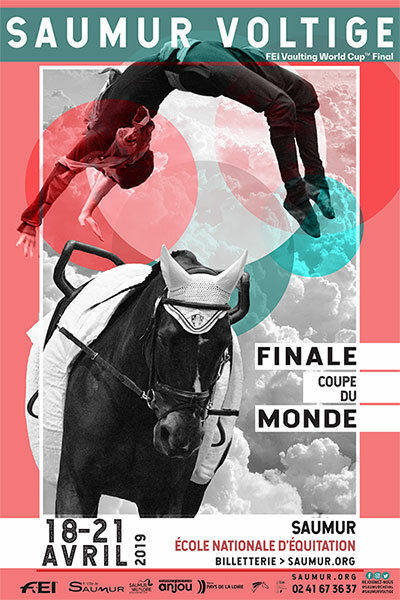 The vaulters and lungers who compete in the international competition, all categories combined, will be attributed a free place in a specific grandstand.